Canada’s Nutrien (TSX:NTR), the world’s largest potash miner, is closer than ever to fulfilling all conditions for the merger between Potash Corp. and Agrium, which created the company, after India’s antitrust regulator green-lighted the sale of its 24% stake in Chile’s Chemical and Mining Society (SQM) to China’s Tianqi. The country’s Competition Commission (CCI) had given Nutrien until April 2019 to divest its holding in SQM, the world's second largest lithium producer, but a deal was reached almost a year earlier, after the Canadian potash giant agreed to sell it to the Chinese firm in May. Nutrien now just needs the Chinese authorities’ blessing for the merger between Potash Corp. and Agrium (which created the company) to be official. This, unless Chile’s antitrust regulator vetoes Nutrien’s deal with Tianqi. CCI warned that, if by any event, Nutrien’s shares end being sold to a third possible buyer other than Tianqi, then a new approval should be sought, Chilean paper El Mercurio reports (in Spanish). The sale process has been plagued with controversy. In March, Chile's development agency Corfo filed a complaint to block the buy offer from Tianqi, China’s largest producer of the white metal. The agency, which oversees SQM’s lithium leases in the Salar de Atacama, argued the deal would give the Asian nation an unfair advantage in the global race to secure resources to develop electric vehicles. 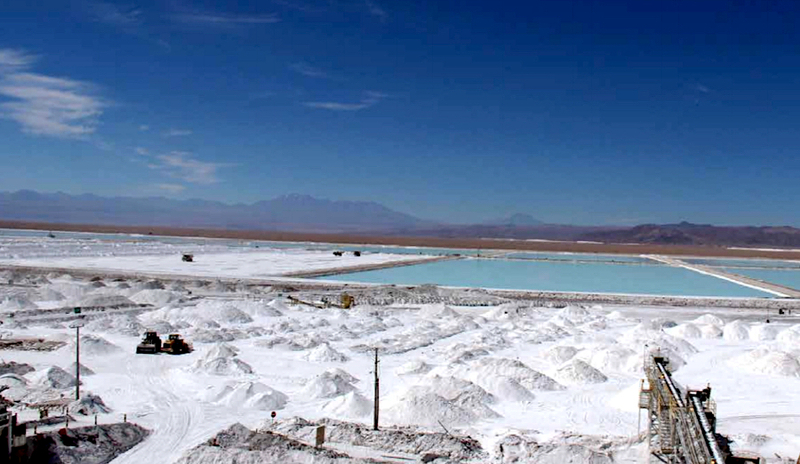 According to Corfo, Tianqi and the Chilean producer combined will control 70% of the global lithium market, as both firms have announced plans to substantially hike production capacity through 2020. The concern moved Chile’s antitrust regulator FNE to recently launch a probe into the transaction’s possible effects on the market. “The FNE will seek to verify, or dismiss, whether anti-competitive risks in Chile … are plausible, and of a magnitude that makes them relevant,” the regulator said in the statement (in Spanish). If the FNE decides the deal presents antitrust risks, it can take the case before Chile´s TDLC antitrust court, or reach a settlement with the parties, which would also need the court’s approval. If no such risks exist, the case would be closed, it added. In that case, Nutrien will only need the approval from Chinese regulators.